Fossil fuels, primarily oil and natural gas, have been key drivers of and have played a fundamental, pivotal role in geopolitics since the emergence of the Industrial Age as a global phenomenon in the early 20th century. That isn’t likely to change anytime soon, but the geopolitical calculus is shifting amid rapid growth of decentralized, emissions-free, renewable energy resources. The reasons are many and varied, from the volatility of oil and gas prices, the ripple effects of fossil-fuel dependence militarily and in terms of national security and the sharply declining costs of solar, wind, other renewable energy resources, battery energy storage, digital smart grid technology and power electronics to the mounting costs and threats posed by climate change, energy poverty and the growing, worldwide divides in wealth and technological capacity. 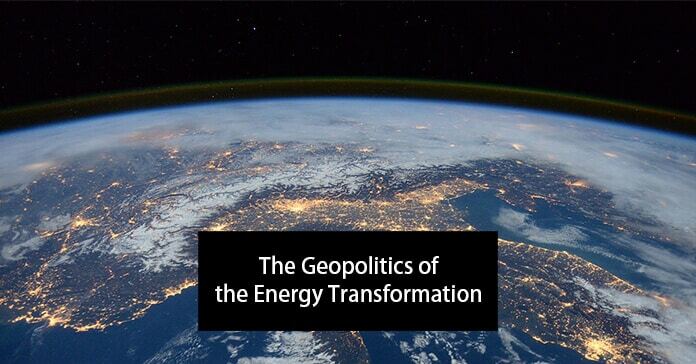 “The new energy age will reshape relations between states and regions bringing ‘A New World’ of power, security, energy independence and prosperity,” according to the Global Commission on the Geopolitics of Energy Transformation. “The geopolitical and socioeconomic consequences of a new energy age may be as profound as those which accompanied the shift from biomass to fossil fuels two centuries ago. 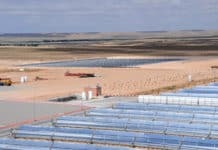 These include changes in the relative position of states, the emergence of new energy leaders, more diverse energy actors, changed trade relationships and the emergence of new alliances,” according to the commission, which presented its report, A New World, to the Assembly at the International Renewable Energy Agency (IRENA) January 11. Unlike fossil fuels, renewable energy sources are available in one form or another in most geographic locations. This abundance will strengthen energy security and promote greater energy independence for most states. 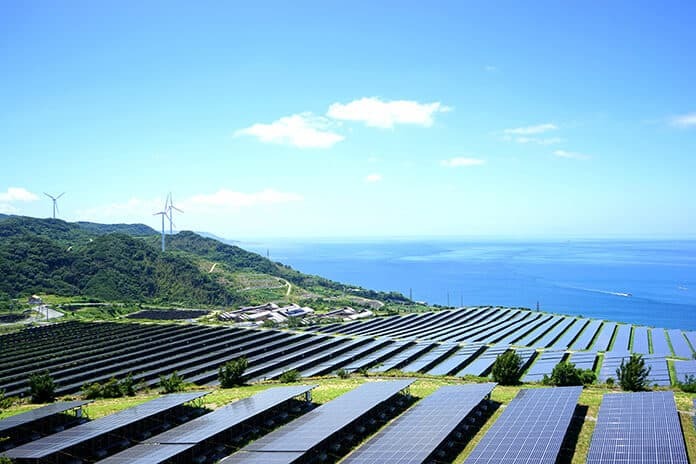 At the same time, as countries develop renewables and increasingly integrate their electricity grids with neighboring countries, new interdependencies and trade patterns will emerge. The analysis finds oil and gas-related conflict may decline, as will the strategic importance of some maritime choke-points. 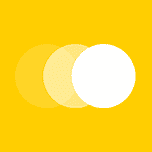 — the commission, which is made up of prominent public- and private-sector leaders from around the world, states. There are those who would agree with the commission’s conclusions, and there are those who would not, or at least have views that differ to some extent or degree. 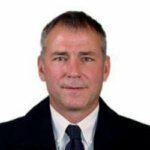 Solar Magazine spoke with three leading experts in the field to gain greater insight and learn about their views regarding the degree and extent solar and other clean, decentralized renewable energy resources have the potential to, or already are, reshaping the geopolitical landscape, and what that may portend for the future of international relations. Solar Magazine (SM): On the face of it, the prospect of a wholesale energy transformation driven by distributed renewables and clean tech, e.g. battery and other forms of energy storage, smart grids, etc., would appear to diminish the geopolitical importance and power and influence of oil, gas and coal exporters — OPEC and Russia, certainly the US given its resurgence due to unconventional shale gas and oil production, and Canada. Would you agree or disagree and why? Indra Overland, Norwegian Institute of International Affairs, Oslo, Norway (IO): Yes, I think the energy transition is going to change international politics. Many analyses tend to focus on net oil imports and miss the fact that some major net importers are in fact also big producers of fossil fuels that they consume domestically. That includes China and the United States. There is also a tendency to over focus on oil and under focus on coal. Again, both China and the U.S. rely heavily on domestic coal production. If that is no longer possible due to climate change mitigation (and not even cost-efficient without regard to climate mitigation), they are going to lose an old advantage. However, I also think one should not exaggerate the importance of fossil fuels to international politics in the past. There are also many other factors that are important for international politics, such as ideology, democracy versus authoritarianism, military technology, manufacturing prowess, population size, etc. This will all still be there. Thus one should also be cautious not to exaggerate how great changes renewable energy will bring to international politics. Rebecca Keller, Senior Science and Technology Analyst, Stratfor (RK): On major oil producers in the Middle East, we already see efforts to diversify economies away from a dependence on oil. While these countries will be faced with limited success, there is a recognition of the inherent weakness of being excessively dependent on a single commodity. While loss of oil revenue will hurt, Russia is also grappling with a demographic decline and transition that will constrain that country’s economic growth regardless of oil. For the US, its strengths — geography, wealth, high-tech development and diversity of development — are much more diversified and far less dependent on oil. 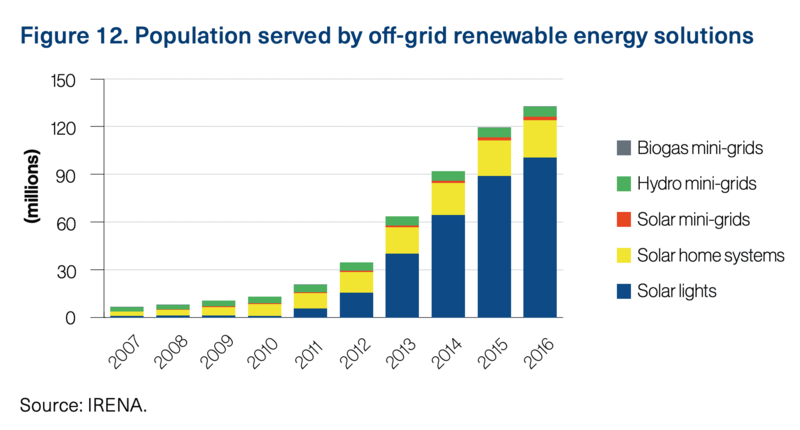 As a technological leader, despite unfriendly political environments at present, renewables adoption in the US is poised to thrive, driven heavily by private and local investments. Sergey Paltsev, Deputy Director, MIT Joint Program on Science & Policy of Global Change; Senior Research Scientist, MIT Energy Initiative; Massachusetts Institute of Technology (SP): Yes, the power of fossil fuel producers will diminish as the world relies more on low-carbon energy options and reduces its demand for fossil fuels. SM Do you see a level playing field emerging in terms of any and all nations’ ability to become self-sufficient in terms of meeting their energy needs by taking advantage of their renewable energy resources potential? IO Yes, I think there will be a very strong trend towards self-sufficiency. This will be reinforced by the fact that it is in the interest of the world’s net fossil fuel importers to rid themselves of this burden on their trade balance. This development will probably accelerate during the coming five to 10 years as technologies, and above all manufacturing learning curves, mature. It’s still early days. RK No, as with any technological advancement, the playing field is not level. In the near and medium term, countries with higher capital, more developed tech sectors, those with the political will to enact change or some combination of the three will be the ones more able to incorporate renewables, EVs and efficiency technologies at a faster rate. 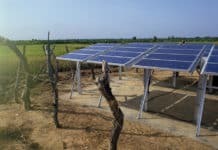 Developing countries, though the political will may be greater for countries at greatest risk to climate change, will require outside investment and tech to incorporate renewables. SP I would argue that a reasonable goal is to have zero-carbon or at least low-carbon energy rather than self-sufficiency. To illustrate the point with an exaggerated but hopefully clear example: is it useful for Canada to be self-sufficient in coffee production? As long as there is a free trade, there is no need for self-sufficiency. Reliance on own resources makes it more appealing but the goal should be to lower emissions rather than to increase self-sufficiency. Click here to see the full-size chart. SM Do you see the renewable, clean energy transformation as a foregone conclusion? Why or why not? IO I would not say it is a foregone conclusion, but I would say the trend is very clear and more likely to accelerate than to decelerate. The reason why I think so is that renewable energy is still a very small part of the world energy system and as it grows, so will scale economies and learning curves. Furthermore, intensive research is being carried out in so many directions that I think it is quite possible there will be a major breakthrough in one or another area, for example, one of the many battery technologies being investigated. The dramatic cost declines of recent years have largely been based on incremental improvements in technologies, a major breakthrough could have even greater consequences. 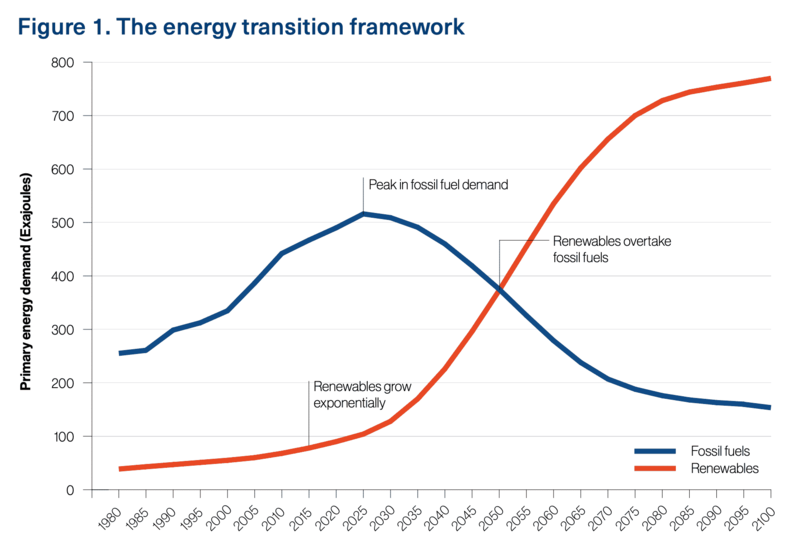 RK I hesitate to say any technological adoption is a foregone conclusion, but the signs are all pointing towards the fact that we are at the beginning of a nascent energy transition, one that will like contribute to peak oil demand being hit in the next 20-25 years. Technological improvements and cost reductions in both lithium-ion battery technology and wind and solar power indicate that these would be likely successors to hydrocarbons. However, that’s a nuanced argument and natural gas will certainly play a larger role longer than either coal or oil in the future. The rapid adoption of EV’s (electric vehicles) for instance in places like China has exceeded many previous estimates. So, in short, while I hesitate to give an absolute answer, the economic, political and technological indicators all point towards a transformation, though it will likely be a gradual one. SP I would say that clean energy transformation that relies on all forms of low-carbon sources, not just renewables like wind and solar, is inevitable. SM We’ve seen China emerge as the dominant force in the global market for solar cells, modules, etc., and the largest in terms of deploying them, as well. 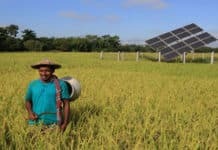 More broadly and for smaller, developing and less developed nations, does a renewable energy transformation open up viable, less resource-intensive and consumption-driven alternatives to the traditional model of socioeconomic development based on rapid industrialization and export-driven economies? IO It seems likely that future manufacturing of renewable energy equipment will be a bit like the current mobile telephone sector — dominated by a few major manufacturers who have the best technologies and the lowest manufacturing costs. In mobile telephony today that is basically Huawei, Samsung and Apple. Even the Germans, the Finns and various other US companies have been squeezed out. For a former fossil-fuel importer this will still be an improvement, but it will raise the question, “What’s in it for us?”. I think this will lead to local content becoming a hot issue. As we know from the petroleum sector, it is tricky to get local content requirements to work; there are corruption risks etc. RK The limited ability to replicate China’s growth is multifaceted and not limited to being driven by technology transitions in energy. Technology transitions in manufacturing and automation are changing the calculus of labor cost as an input, much like the container ship once changed the calculation of the cost of distance. Because of these advancements, we see the window of other countries being able to use the China model of growth slowly closing. SP There is no unique solution that would fit all countries. Countries should establish their development plans based on their current and future comparative advantages. Indeed, domestic resources might be helpful to reduce or even eliminate payments for imported fossil fuels. As I have already pointed out, the goal should be to maximize the welfare of citizens based on country endowments — human and natural. To illustrate the point: Can a smaller developing country compete with China and produce solar cells cheaper than China? Or, maybe they should focus on something else where the country has a comparative advantage? Why? Because based on that advantage the country can earn export revenue and buy cheaper solar cells. Each country has to make their own assessment of the best strategy to maximize the welfare of its citizens. The door for progress is always open. The examples of Taiwan, Singapore, Hong Kong and others show that a good strategy can lead to economic development in an environment with relatively limited natural resources. SM Does it improve prospects for realizing U.N. sustainable development and climate change goals, and resolve increasingly challenging social and environmental issues? IO Yes, with cheap, abundant renewable energy there is even less reason why anyone should live in energy poverty. However, the reason for poverty is not only lack of resources but governance and that is a challenge that will still have to be dealt with. However, governance may also become slightly less of a problem with renewable energy as it can be decentralized. When all that existed was landlines, development was very slow in many countries because governments were slow, incompetent, corrupt, etc. With mobile telephony that changed. 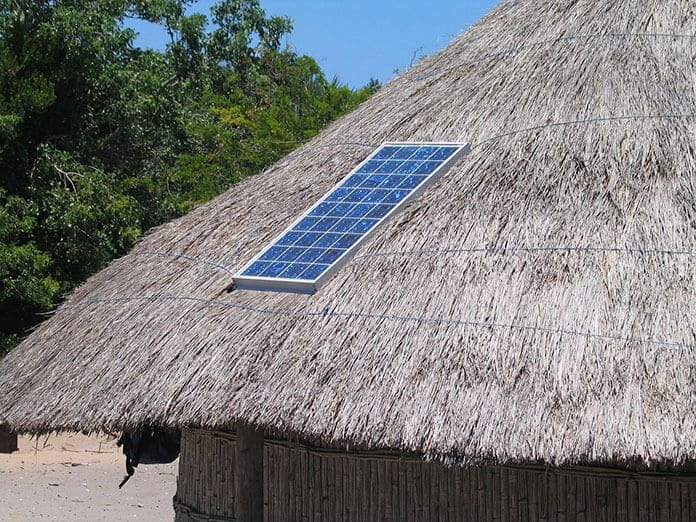 The same may happen, and is to some extent already happening, with solar panels in many poor countries. RK The adoption of renewables would certainly improve the prospects of hitting emissions targets and the like. As the impacts of climate change become more obvious and accepted, the political will and economic drivers are more likely to shift in favor of adoption. But the extent as to how, where and when this will be able to impact changes to the climate itself remains an extremely complicated question. SM Could it help, and do you see the energy transformation helping, resolve associated social and economic challenges that figure into the geopolitical frame, such as migration, job creation, the widening gap between rich and poor and the diminution of the middle class in developed nations, such as the U.S.? Why or why not? IO I think those challenges have so many drivers that I would be cautious to exaggerate the possible impact of renewables on them. In some cases, people have funding which is defined as official development aid, or they have stakeholders who are oriented towards development, and this causes them to overplay such points. This is one of the weaknesses of the Global Commission’s report. RK Climate migration is poised to be a very real issue and going back to the question above, the extent that the impact that implementation will have on migration is part of that extremely complicated question…that I don’t have a good answer for. Job creation is a complicated question that also ties in technological advancements in other sectors and is not solely dependent on the energy sector…I also don’t have a good answer for widening wealth gap because there are so many factors going into that, as well. SP I would argue that limited access to energy and ever more pronounced impacts of climate change increase social and economic challenges, so anything that reasonably reduces the cost of energy and provides access to it, and at the same time mitigates the impacts of climate change, helps to improve economic conditions. Is it going to reduce a gap between rich and poor? I doubt it because you need particular policy instruments that solve particular tasks. SM Does the energy transformation also hold the potential to create new sources of conflict, e.g. over strategic mineral or other natural resources, for example? IO As I argue in my [latest] article debunking four myths regarding the geopolitics of renewable energy, I think the potential for conflict over strategic materials is over-hyped. People tell this story because they need an interesting story to tell and because it is easiest both for them and for their listeners and readers to deal with recognizable storylines. So they take the logic of the fossil fuel energy system and transpose it onto the renewable energy system: Countries competed over oil, so now they will compete over critical materials instead, goes the line. RK There are certainly areas where key mineral resources are ‘bottlenecked’ and where leading tech nations, namely the U.S. and China, will compete for influence and where we’ll see added investments. The most obvious ones right now include Democratic Republic of the Congo, which is the world’s key cobalt producer. We’ll also see moves into South America to obtain lithium resources. 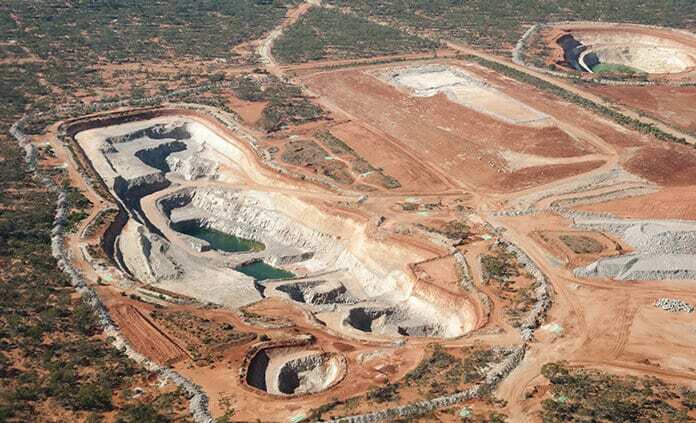 Brazil’s dominance of niobium, the concentration of platinum group metals in southern Africa and China’s control of the rare earth markets are other key choke-points to watch. Australia and Canada as more secure or stable developed nations that are also very resource rich have the potential to capitalize as countries seek alternative sources to ensure the stability of renewable supply chains. SP Yes, it does. For example, limited availability of materials for batteries can create new sources of market power and potential conflicts. SM How long do you think it will take for a global energy transformation to be realized, or reach a tipping point, if at all? IO My guess is that a tipping point will be reached between five to 10 years from now. By tipping point, I mean the point at which there is little investment in any other energy types than renewables. It may also happen faster, but I don’t think it will happen slower. RK I think it will be phased. I think the transportation sector is poised to go through it first. We’ve seen faster than expected adoption of EVs and we’ve seen aggressive forecasts for peak-oil demand come out in the last several months. I think we’ll see that peak reached at some point before 2040. SP Hopefully, soon enough to avoid dangerous impacts of climate change. SM What are the principal hurdles and barriers? IO The main problems are, firstly, badly thought-through policies that provoke backlashes from the poor or those who feel marginalized; and secondly, ministries of energy and energy companies staffed with older engineers who lack competence on new technologies and think it is easier and cheaper to build coal power plants than solar and wind power plants. It is also possible that some major fossil fuel producers will resist change, perhaps more aggressively than they have done so far. We have already seen this from oil companies, mostly in the past, but it is also possible that whole countries could start fighting back, feeling that their back is against the wall. But so far we haven’t really seen that happening, mostly they just seem a bit slow. RK Political will, lingering economic hurdles in the near term; the investment in replacing infrastructure that hasn’t reached end of life. SP In my opinion, the main hurdle is still the cost of energy from long-carbon sources. We need dispatchable and reliable energy sources that can compete with fossil fuels without government support. Despite the recent advances in bringing down the costs of solar and wind power, more progress is needed to make them really competitive in all uses. And that includes solving the issue of intermittency. SM What implications does this suggest militarily, and in terms of foreign policy, more specifically among the world’s major economic and military powers? IO China’s head start on renewable energy equipment manufacturing, as well as electric cars and especially electric buses, is probably putting it at a major advantage over the United States. The E.U. is in a sorry state, but as a massive importer of fossil fuels, its focus on ‘decarbonization’ is going to carry significant fruit in the long term, strengthening its position in the world. SP I would think that [the] military would be the most eager party to root for renewable energy sources because it will solve many logistical problems that they currently face with securing fuel supplies. SM At the end of the day, which nations, or types of nations, do you see benefiting the most from a clean energy transformation in terms of geopolitics? Which stand to see their geopolitical standing diminished? IO The main winners are going to be former major importers of fossil fuels who have the governance and science and technology capacities to take the lead in the energy transition. 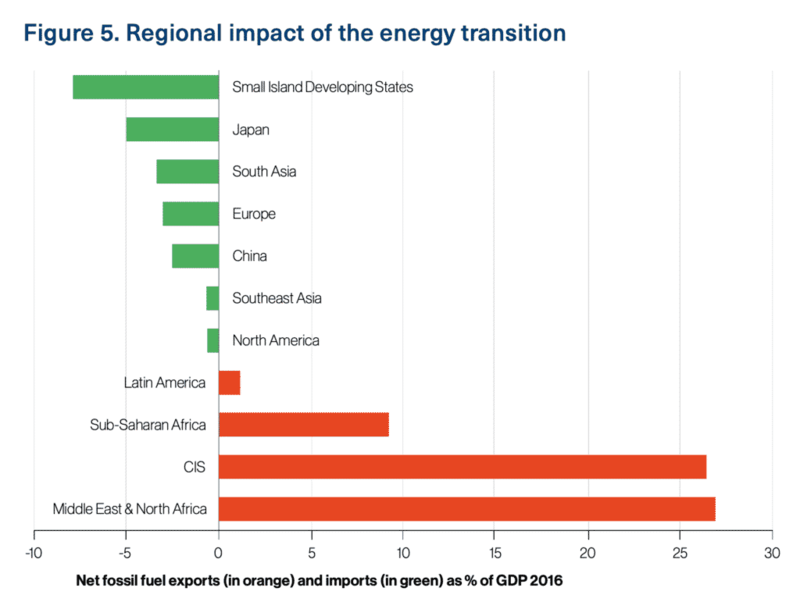 The biggest losers are going to be the main fossil fuel exporters, and especially those who do not have the capacity to handle the loss of privileges. Australia, Canada and Norway will probably take a hit, but will be able to handle it. For Iraq, Saudi Arabia or Venezuela it could be much more difficult to handle. 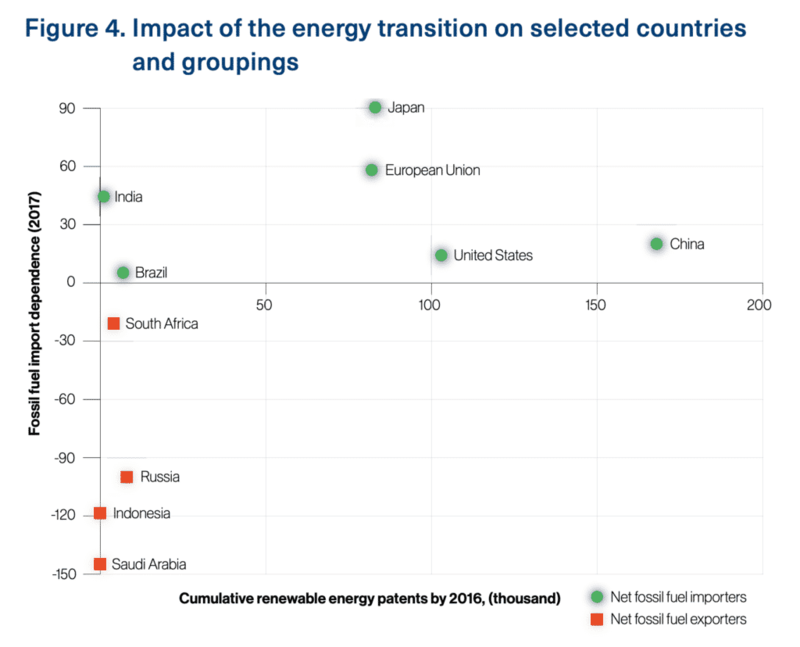 On the other hand, if one takes a ‘resource-curse’ perspective, the energy transition might actually be a blessing in disguise for such countries in the long run. Or perhaps to the contrary, if renewable energy becomes truly cheap and abundant, we will all be resource cursed! RK Geopolitics is about so much more than clean energy. China is clearly using the growing markets to its advantage though. SP When the world moves away from fossil fuels, those countries that rely on exports of fossil fuels would definitely feel the impact. And those countries that are capable to advance low-carbon technologies will find themselves in a better position. If you like this article, please give us 5 stars! This is one solid article! We don’t get to read such a wide range of issues dealt with in depth. This is truly a good read.